The cuckoo clock rang 23:21 hours last night when a surprising flash of light turned the night skies over Iquique practically into daylight. Bar goers who were walking along the streets of that northern city at that time of night craned their necks and gaped at the stellar spectacle, which was even seen as far away as Calama. The light – a flash of azure color – as it was described by some people were able to see it, crossed the sky from the east before vanishing into the sea. The event obviously caused a certain degree of concern among residents of Iquique, who even associated the light with the presence of a UFO. 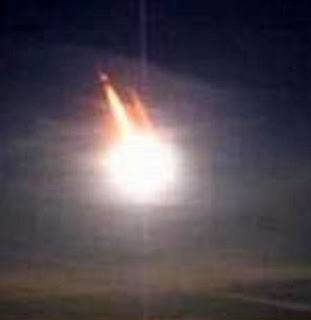 He noted that the origin of the luminous object has not yet been established, as it was not picked up on the FACH (Chilean Air Force) or DGAC (General Office of Civil Aeronautics) radar systems.